Running a blog with your students is about as far from a traditional teaching method as you can get, and chances are nobody taught you how to do it. That’s why teachers who blog with students are usually those nonconformists types, radicals, free spirits, taking paths less traveled…well, not so much anymore. It’s actually become quite popular, but it certainly hasn’t hit mainstream levels, partly because it’s not as simple as using a chalkboard and textbook. It doesn’t have to be so hard. After several years of blogging with students (mostly using PikiFriends), I’ve come up with a successful method which I hope others will find helpful. What you do before you start blogging is arguably the most important time of all. 1) Choose an appropriate blogging platform for your situation. It must be safe for your students (Many are not. For a detailed explanation of safe blogging with minors, please watch this video. ), have a simple learning curve (the fewer features the better in most cases), and allow you to assess your students easily according to your syllabus expectations. Do the right thing and don’t use Facebook just because students are already using it. There are much better platforms built for education purposes. 2) Understand why and how you’ll use it in your class. This may sound obvious, but poor lesson planning will result in problems including misbehavior, technological breakdowns, and angry administrators and parents. My advice for beginners is to look at blogging as 10% of your syllabus – use a blended learning approach which incorporates blogging as a minor supplement. As you progress, you’ll get more comfortable to change the ratio as you see fit. 3) Understand the features you and your students will need to use. Get to know the blogging platform features as well as you can, and make sure there are help files which your students can look up themselves. Can you teach your co-teachers to use it as well? Tutorial videos are a HUGE help. Once again, the fewer features the better. Contrary to popular belief there are many young people who can’t find their way around computers very well, and everyone knows there are a lot of teachers who struggle. You’re probably not one of them since you’re reading this blog however. 4) Set up your student accounts. Learn how to add, delete and edit them because you’ll have to do it many times. If it’s complicated then you’ve chosen the wrong platform. And please, if your students are minors, avoid sites which require them to give email addresses or other contact information. 5) Clear all of this with your boss and the tech guy. You will need their support, so keep them completely in the loop. Administrators will be concerned about liability (student safety & what parents will think) and the pedagogy behind your idea, and you will need lots of help from tech support for sure. For example, you want to use a certain platform that requires a computer update but you don’t have admin access, or the entire platform you want to use is blocked in your school district. Sometimes these problems are deal breakers, so figure it out early. TIP: Log on as a student on a student computer and try to use your chosen blogging program. 6) Know what to do when students forget their login information, and keep that info safe! 7) Make sure that all of your students will have fair and equal access to computers to get the job done, whether at home or school. Not good. Parents shouldn’t be surprised like this. I always send notes home (in Japanese since I’m in Tokyo) with a brief explanation, and every parent has come on board so far. Click here and here to see how 2 American schools designed their own permission slips and rules for using PikiFriends. Come up with your own to fit your circumstances, and definitely run it by your boss first! I heard from a head of school which uses PikiFriends that a few parents were adamantly against computer use for their children, but the school stuck by their guns (kindly explained the educational benefits) and won them over. Expect the unexpected. 9) Set the rules for students. A HUGE step! What do you have to worry about? Identity theft, copyright infringement, bullying and various inappropriate behaviors. Yuck. Makes you want to go back to the old pen-and-paper, doesn’t it? Don’t worry. It can be avoided with proper preparation on your part. Explain and practice your expectations clearly before logging in. First of all, identity theft can be avoided by 1) choosing the right platform and 2) urging students to minimize their digital footprints. For example, on PikiFriends we’ve made it a rule that students are not allowed to write any contact info or their last name on any profile page, and we test them by using a few exercises like this one. I also take time in my classrooms to explain the importance of minimizing digital footprints, and I’ve found that students appreciate it and are very careful. The purpose of education is to prepare students and equip them with the right tools and skills to help them easily blend in the job market and workforce. Typing quickly and correctly is one of the most important skills our students need to work and develop to meet part of post graduation challenges. I have also included these typing tools in two presentations : the first one is done using Issuu and the second one which you will find below is done using Google Docs. 10-Fast-Fingers is a cool web application. It allows its users to test their typing speed to find out how fast they type and where they position themselves against others. TypeRacer is an online speed typing game. It allows its users to race each other by typing quotes from books, movies, and songs. It is the first multiplayer typing game on the web. Keybr is a tool for touch typing practice. It allows its users to improve their typing speed togther with typing without having to look at the keyboard. Explore tutorials that provide instant feedback after every free typing lesson. It offers beginner through advanced typing lessons for free. This is a fun, open source, program designed to help young students learn touch typing skills through smart and interactive games. This is a typing program that allows its users to create their own typing activities or use the website's standardized lessons. TypeFaster is a tool that teaches you how to touch type fast uisng a set of free typing tutorials. This program comes in three version: Standard, Accessible and Spanish. The Standard version is the ideal one so far for it has quite many interesting features. This one here has a small collection of five typing games and lessons that students can use to develop their typing skills. Typing Lessons Online is a free touch typing program that allows its users to type fast using their ten fingers. It offers free and interactive typing lessons and exercises for all levels. This is a free online typing skill development program. It provides 27 graduated lessons designed to help students learn how to use their keyboard correctly. This is a Google Chrome extension that will track how fast you type and what keys you use most frequently. This is an interesting game that tests your vocabulary and your ability to type quickly. This is a free online program for typing accent marks and other special characters that are often required for languages other than English. This is a virtual keyboard that allows you type and search the web in your choice of 53 different languages. This is provided by BBC to improve students touch typing skills through a series of lessons covering four different levels. The difficulty moves up gradually from level one where students are introduced to a lesson on the right placement of their hands on the keybaord to level four where they will learn elaborate keybaording tips. Magzinr is a new social bookmarking tool that allows users to organize and tweet their bookmarks on one easy to use platform.. This tool works on all major browsers ( Chrome, Firefox, Safari, and some versions of Explorer ). It is very easy to use and has an intuitive interface that anyone can handle instantly. College is an expensive investment, so you might wonder, is the cost of a degree really worth it? Based on studies conducted by PayScale for Bloomberg Businessweek, here's a look at colleges that offer a great return on investment (ROI) and how higher education helps the economy. 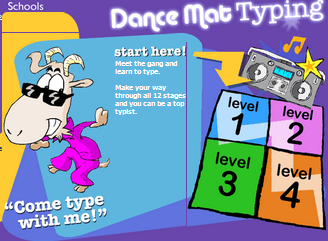 Dance Mat Typing is a cool web tool from BBC. It provides typing lessons for young students ages 7 to 11. I have already covered in a previous post a List of The Best Typing apps for students and teachers and after reviewing this new website I am also adding it to the list. Dance Mat is designed primarily for kids but will not do any harm if adults want to use it too. 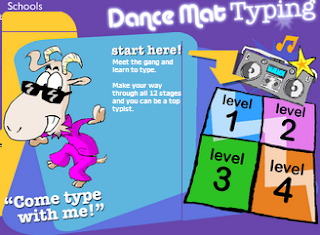 Dance Mat's aim is to improve students' touch typing skills through a series of lessons covering four different levels. The difficulty moves up gradually from level one where students are introduced to a lesson on the right placement of their hands on the keybaord to level four where they will learn elaborate keybaording tips. What is really so cool about this website is that each lesson or practice activity offers feedback in audio and visual form. There are also worksheets available for each stage that can be printed out and used offline with a typewriter or computer. Dance Mat is completely free and has a very student friendly interface. It does not require any software download or installation just head over to its homepage and start your typing journey right from there. ClassConnect is an awesome learning tool. It allows teachers to build lessons with the use of websites, videos, Google docs, files and many more. These lessons can be stored online and then shared with students and parents. This service is free to use and has a user friendly interface. The story behind ClassConnect is really inspiring. Its founder is just a young guy who used to suffer from lack of interest in his schooling and one day he decided to change the focus of his life and he went to Silicon Vally where he worked on ClassConnect and started doing the things he is mostly passionate about. Old Maps Online is a great web tool for educators. It is basically an easy to use gateway to historical maps in libraries around the world. Old Maps Online has a sophisticated search engine that enables users to look for and find digital historical maps across various collections using geographical search. If you are searching for historical maps near where you live then Old Maps Online will definitely give you a hand. By default it searches for maps about locations in your vicinity but you can customize and refine your search options to make it more specific. You can for instance search by typing a place-name or by clicking in the map window, and narrow by date. Just bear in mind that Old Maps Online does not hold the maps that you find through their search box but rather provides a direct link to the map image on the website of the host institution. Old Maps can be a great learning tool for students. They can use it when working on history project to find relevant maps and since it is free and easy to use then there is no reason not to give it a try. Head over to Old Maps Online and give it a shot. The Faculties is a great video resource for both teachers and students. It provides a wide range of educational videos created by university lecturers speaking on topics in their fields. The Faculties also helps students choose the right university department and guide them through the possibilities their studies might open up for them. The purpose behind these video lectures is two fold. First , it aims at providing relevant video resources for high school students about topics that might interest them and the second goal is to provide and equip students with the right information that will familiarize them with the expectations and realities of being a college student. The content in Faculties is organized in such a way that users will find it easy to browse through. There are basically 6 sections named as follows: The biology faculty, the Math faculty, the Psychology faculty, the History faculty,the Biology faculty, and the Chemistry faculty.There are videos in each section and based on what they are looking for, students will be faced with various collections of videos made specifically to meet their learning needs. Hi everyone this Med from Halifax sending you his best wishes. I hope you have enjoyed your weekend and have a better time for I did not because again foe the second weekend in a row it was stormy and rainy. As is the habit every Sunday, I will be briefing you on the most popular articles that have been featured in Educational Technology and Mobile learning for this week. The use of technology in education has become a necessity. We no longer talk about only the integration of web 2.0 tools and desktop applications but rather about mobile technology such as tablets and smart phones. Some educators are still reluctant and doubtful about the usefulness of technology in teaching and learning which is a sad thing indeed. one thing students, kids and even some adults love to do is drawing. There are a bunch of awesome drawing tools I have covered here before that can allow you to easily make drawings and skectches online . Some of these tools have social part in the sense that users can share their drawings on popular social networks such as Facebook, Twitter and Foursquare. Users can also invite their budies and start collaborating together in real time and even chat back and forth while they are drawing. 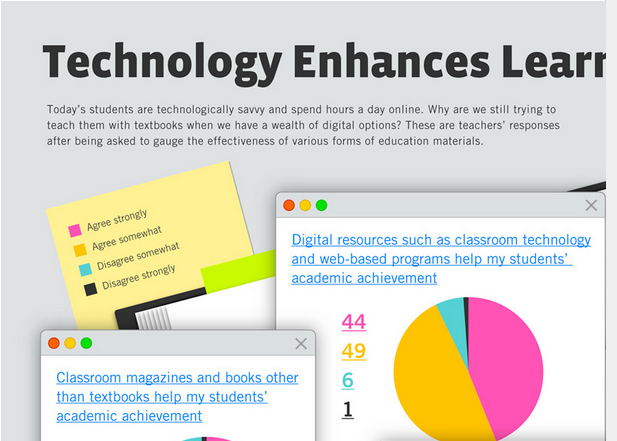 All these features and many more others are great for students and learners. The Best of Mobile Technology has reviewed some great Androidd and iOS apps that I want to share with you here and that can do the same things as the web tools I talked about earlier. These mobile apps are totally free and you can use them on your mobile devices and tablets. I know mobile devices are ubiquoutous and our kids and students have more and more free access to them so why not give them these apps and help them turn their devices into effective learning tools. Create shapes,add text, and share with others. I have included a Google Docs and Issuu presentations containing these apps. Scroll down to see them. 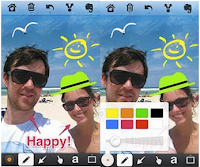 Big Fat Canvas lets users draw free-hand on your Android device using a set of easy to use options such as size altering, selection of colors,and opacity of the line you make. Sync Space is a whiteboard app available for Android and iOS devices. Sync Space is used to create drawings and documents. 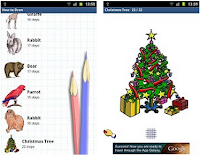 It offers free hand drawing and typing tools. 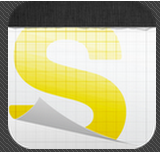 You can use either of them or even both of them at once to create your scribbles. Jot is a cool iPad app that allows its users to sketch out their ideas in a whiteboard like interface and share them with others in real time. This is indeed one of my favourite collaborative whiteboard apps . 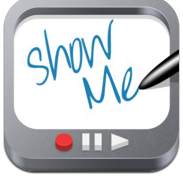 Show Me is a great mobile app for iPad. It allows its users to turn their iPads into interactive whiteboards where they can record their tutorials and animated lessons. 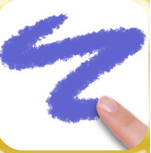 Draw Free for iPad is a great mobile app that allows its users to easily sketch and doodle beautiful drawings. 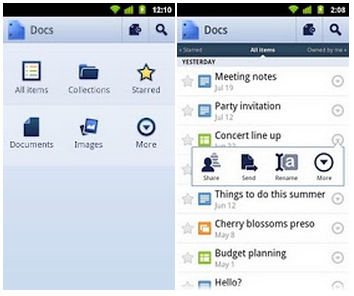 Google Docs App is the mobile version of Google documents. 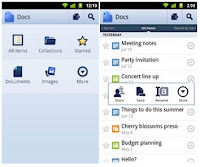 It allows users work on documents in real time. I strongly advocate the use of social media in education. I know I got some criticism on some articles I wrote in this regard specifically the one entitle " Reasons Why Facebook is Revolutionizing Education " but I think some educators still did not really open their eyes to the benefits of such tools in learning and they rather prefer the " head in the sand" approach to social media. Let us take Facebook as an example since it is the most popular social website students use almost on a daily basis. This website is blocked in almost all of the schools excluding thus the positive side it would play in some learning activities, take a look at The Best Facebook Learning Apps to see the potential this platform has for education. I know it is not safe but ' no venture no gains'. Instead of shunning away from websites such as Facebook we should rather teach our students how to use them responsibly and be their immediate model . Without any further ado read the infographic below to see what Facebook can really do for justice. Wikispaces are among the most reliable resources of educational technology tools. I am personally a huge fan of these web tools and I have created three wikis all of which are geared towards the use of technology in education. 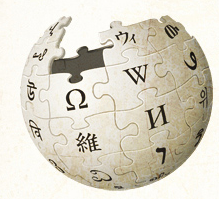 There are also several reputed wikis created by other educatos that are really a must for every educator to know. I am actually working on a presentation that will feature the top educational wikis and will soon post it here. So apart from the tutorials created by educators such as me to help other teachers better use wikis no official tutorials were ever posted so far but this is not the case anymore. There is a Wikispaces YouTube channel that has just gone viral and that contains more than 25 screencast videos created by Wkispaces. The purpose behind this channel is to help users from all around the globe and show them how to utilize some of the useful features that Wikis have in store. I highly recommend this channel for you , you can browse it for videos and tutorials to share with your students. They need to know how to better use wikis and the best way to teach them that is through these videos. This new policy also gives 'Google the opportunity to raise the advertising stakes allowing third parties to target users more effectively'. 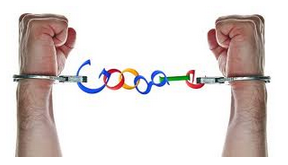 Google puts advertisers wants ahead of its users' needs. It is really funny, I was watching BBC lastnight and there was a representative from Google in Europe trying to defend his company's move and when was asked how users can avoid Google spying eyes on them while using its services he simply said they need to sign off google and therefore no data will be collected. Oh my, how can I sign off my Google account and automatically from all other services to start browsing the net ?Imagine working on a document in Google docs and you want to look for videos to include in it from Youtube, you should first save your doc and log off Google and head on to Youtube and perform your querry.Being logged off , YouTube ( which is a Google product ) wont track your search querries or collect any data about you. When you find your video log on back to your Google doc and embed it. This is ridiculously stupid. I am a huge fan of Google and I do appreciate all its great services especially for us in education but this should not blind our eyes to the fact that our own digital privacy is being endangered.